Just because you know and have experienced grace does not mean you fully understand it. This book will help you experience the freedom found in knowing just how fully God is committed to loving YOU. Rediscover the missing piece in what today's Christians believe about the Christian life. As lead Pastor of one of America's biggest churches, John Lindell went on a personal quest for answers and discovered the true meaning behind God's grace, and when he came to see the full revelation of God's commitment to us, it changed his life forever. 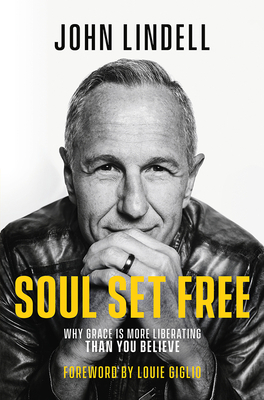 In Soul Set Free, Lindell invites you on a life-changing journey through the Book of Romans. Learn to no longer view the gospel as anything less than a truth that sets your soul free. The good news of the gospel can be summed up in three parts: Christ died for our sins, we are forgiven through faith in Christ, and heaven is our reward upon death. However, none of these parts cover what transpired when we were saved. The gospel is even better than what we believe. It brings joy but it's even better. It's forgiveness of sins but it's even better. It's God sending His only Son but it's even better. Pastor John Lindell is devoted to seeing the local church thrive and standing boldly for the cause of Christ. His heart for God and people is evident and exampled in his leadership at James River Church in Springfield, Missouri. From week to week, he speaks life-giving messages that are changing the landscape of ministry and church by challenging generations to rise up and live life fully in Christ.